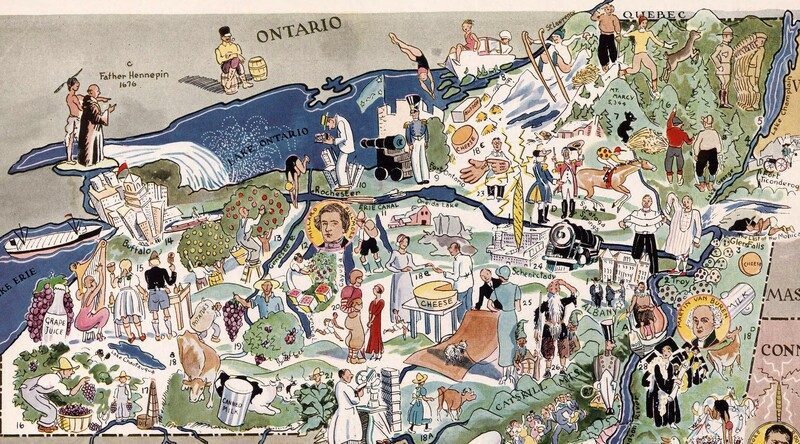 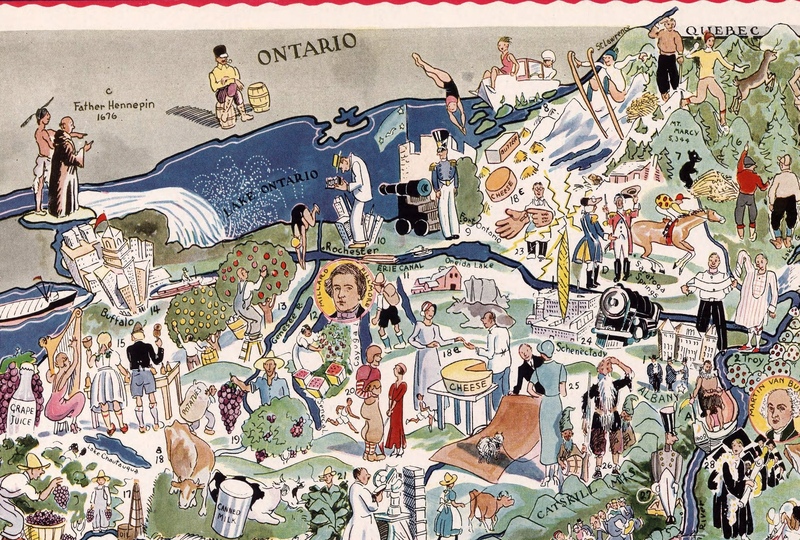 Map of New York State packed with illustrations representing significant people and events from the state’s history. From skiing in the Northern Adirondacks to picking grapes in the vineyards of the West, the images on this map tell the stories that define specific geographic locations across the state from the perspective of white society. 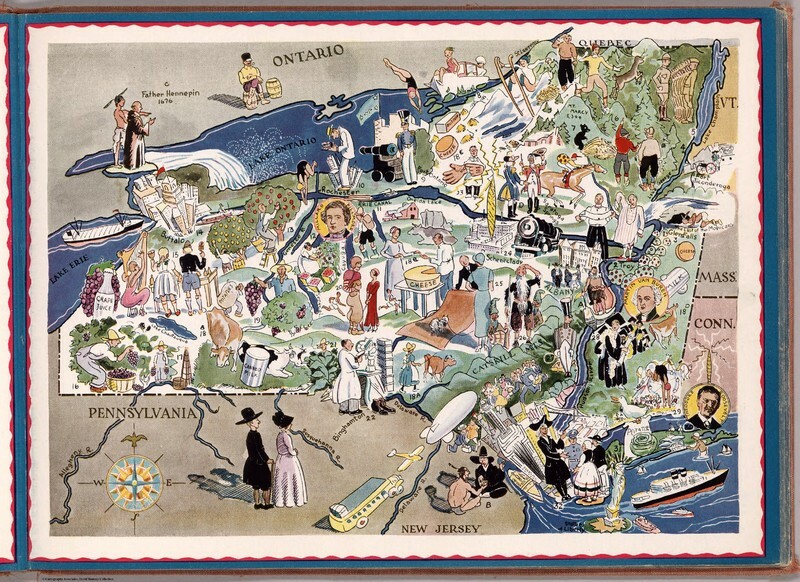 Hader, Berta Hoerner Hader, Elmer Stanley, “Map of New York,” OpenValley, accessed April 25, 2019, https://openvalley.org/items/show/1171.